A lot of people think suicide makes you weak but the hardest thing in the world is to hurt yourself. Our bodies, our minds, our spirits are naturally designed to not hurt us. It’s why a person with a gun to their head pulls away at the last minute. 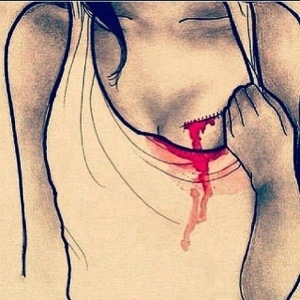 It’s why if you’ve ever tried to cut yourself its almost impossible. So for someone to fight all that off and still kill themselves, how does that make them weak? Sometimes the voices in our heads, the regrets, the pain is unbearable and all you want is it to stop. So you do what’s necessary. Suicide isn’t the trait of a coward, it’s just someone that’s tired of fighting the demons. We judge people without knowing their struggle. Without knowing how much they fought the pain and regret and fear. Pray for their souls and know that if they made the ultimate decision to take their life, they must have felt there was no other choice. Absolutely powerful and honest. I agree that it is very hard to kill yourself, or harm yourself. We are designed by God to have that “fight or flight” (?) instinct. It is what saves us in otherwise dangerous situations but is obviously “not working” when a person is able to die by their own hands or puts their own self in harms way.